Four days of the workweek I drive to the southeast corner of Cambridge, Ontario where I work as a digital media producer. My route generally takes we along Hespeler Road, a commercial strip that has long been derided as a eyesore — a festering tribute to consumerism — ironically it’s always busy. For me it is a diorama, a sliver of a dying car culture — frozen in time. 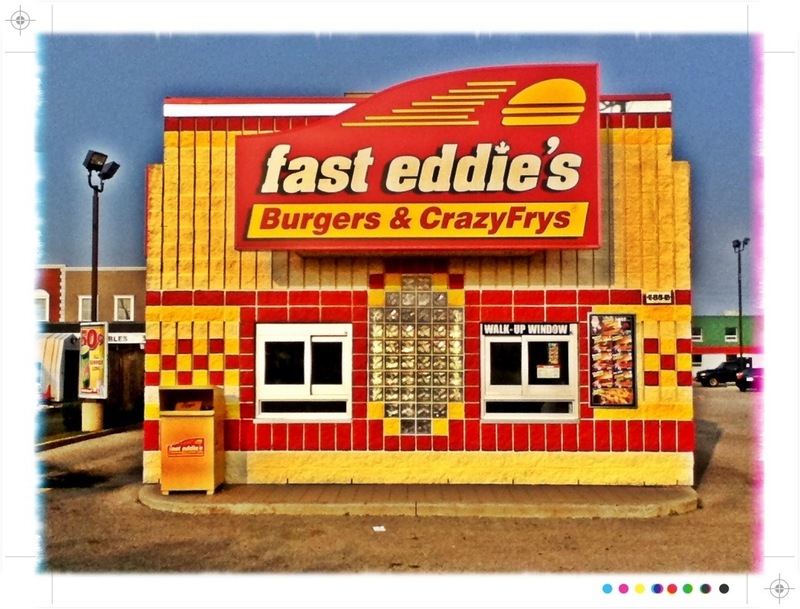 Fast Eddie’s restaurant, a local burger chain with a self conscious branding, is a cultural icon on the strip. Its blistering yellow and red/orange concrete blocks rise from the landscape like a Lego pimple. 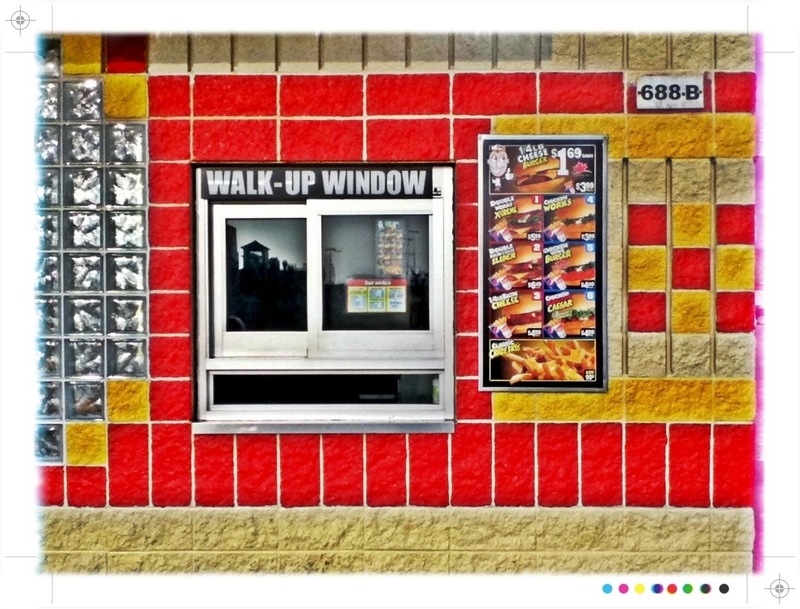 It is the only restaurant I know of that has a walk-up window. This nod to pedestrians only reinforces the fact that Eddie’s does the majority of it’s business through the windows of idling vehicles. As much as I want to dismiss Fast Eddie’s as culturally crude, I’m drawn to it’s audacious glow like a moth to a flame.I can’t bring myself to eat there; I’m afraid the food will never compare to the visual treat of simply looking at the building.